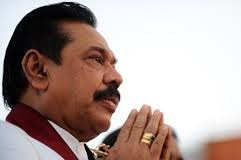 Former President Mahinda Rajapaksa says he calls upon all members of the Sri Lanka Freedom Party (SLFP) to carefully observe the moves that are being made to weaken the party. “What we are now seeing is the second phase in the plan to destroy the SLFP. The first was the dissolving of the local government institutions the vast majority of which were controlled by the SLFP,” he said in a statement today. The statement further said, “Several SLFP electoral organisers including Mahinda Yapa Abeywardena, Pavithra Wanniarachchi, Rohitha Abeygunawardena, C.B. Ratnayake, Gamini Lokuge, , Keheliya Rambukwella , and others have been removed from their electoral organiserships by the president. This is the latest round of reprisals against SLFP members associated with the Joint Opposition. On earlier occasions, Dilum Amunugama, Salinda Dissanayake, S.M.Chandrasena, Geetha Kumarasinghe and Prasanna Ranatunga were similarly removed from their organiserships. Puttlam district parliamentarian Sanath Nishantha has been suspended from the party. This persecution has effectively caused a split in the SLFP. Popular organisers of the SLFP are being removed and replaced with less popular politicians in order to weaken the SLFP and to confer an advantage on the UNP. Parliamentarian Sanath Nishantha whose party membership has been suspended got the highest preference votes among all political parties in the Puttlam district. Many of the electoral organisers who have been removed are among the top two or three in their respective districts. For example, Prasanna Ranatunga got the highest preference votes in the Gampaha district. S.M.Chandrasena came first in the Anuradhapura district, Dilum Amunugama came third in the Kandy district. Rohitha Abeygunawardena, came second in the Kalutara district, C.B. Ratnayake, came second in the Nuwara Eliya district after Armugugam Thondaman, and Pavithra Wanniarachchi came third in the Ratnapura district. These are all very popular politicians in their districts and stalwarts of the SLFP. Since the last parliamentary election 17 members of the SLFP central committee have been sacked. Nationally known figures have been replaced with individuals who are either defeated candidates, or politicians who have got much fewer preference votes even at the provincial council level. Such changes are designed to weaken the SLFP and to give the UNP the upper hand when it comes to an election. The responsibility for splitting the SLFP by removing its most popular electoral organisers will finally have to be borne by the President who is the leader of the party.